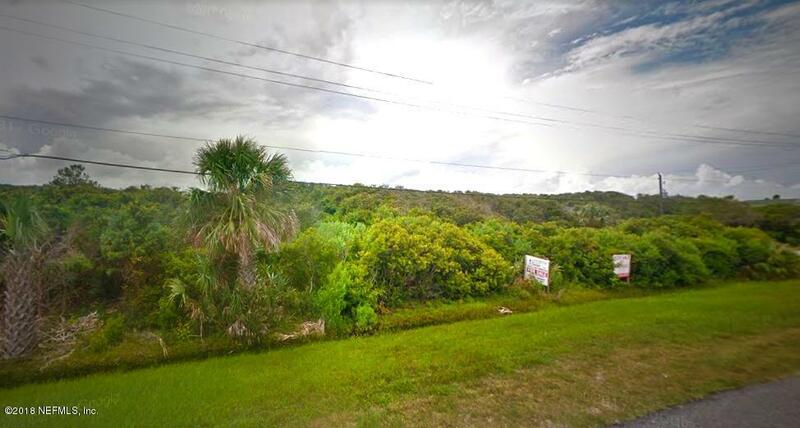 Commercially zoned lot directly on busy A1A near the Treasure Beach area, close to beach access and 206. Lot is 75x125 and can be used for a business, a duplex, or even a business downstairs and a residential living space upstairs! Seller is VERY motivated and will consider financing for a qualified buyer. This is a busy area of St. Augustine filled with residents and tourists alike - huge potential for your business endeavor.